To support this growth, the firm's lending operations team has grown from 21 in February 2018 to 37 this month. "Our escalation in hires for this team has moved in direct correlation with the demand we receive for our product"
LendInvest has reported a record month of signed buy-to-let applications in January 2019 with 428 applications at a total of £100 million in value. To support this growth, the firm's lending operations team has grown from 21 in February 2018 to 37 this month, through a combination of internal promotions and external hires. Among the external hires is Jack Broadbridge, who joins the team as a senior bridging underwriter from Shawbrook. Kwok Tao Chan also joins the company to work as a senior buy-to-let underwriter. Kwok joins from Atom Bank where he worked as a commercial underwriter and brings 15 years of financial services experience to the team. 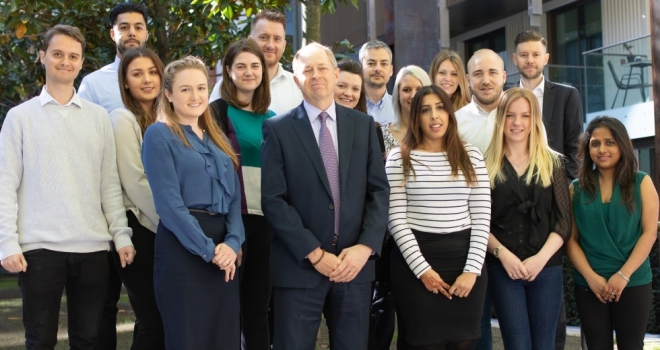 The loan operations team has also made a string of internal promotions, including that of Gareth Thomas, making the move from senior underwriter to buy-to-let team leader. Gareth will now be helping the team manage their pipeline, signing cases off, allocating new cases to underwriters and assisting with training. Ian Boden, sales director at LendInvest, commented: “Kicking off what is lined up to be another huge year for the business with a record month for buy-to-let applications is brilliant, and could not have been achieved without the work that the loan operations team put in on a day to day basis.